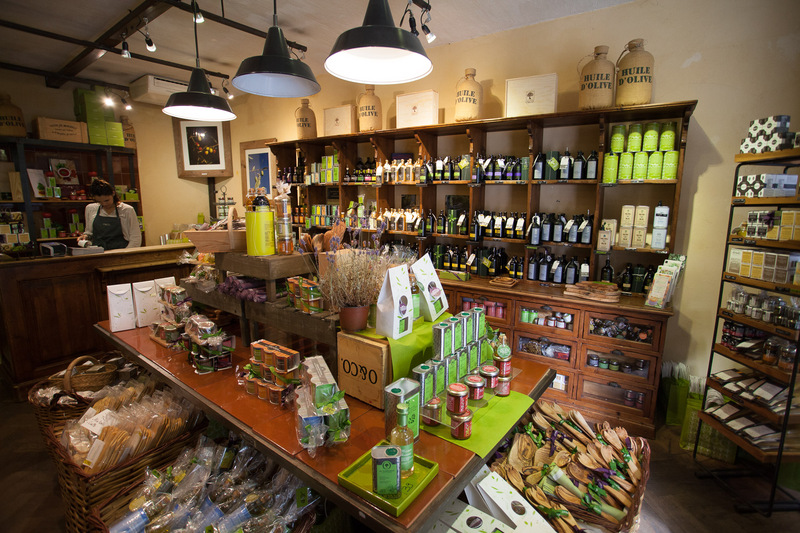 Exceptional olive oil from artisanal producers, Mediterranean flavours, the perfume of lavender, this is what awaits you at Oliviers & Co.! 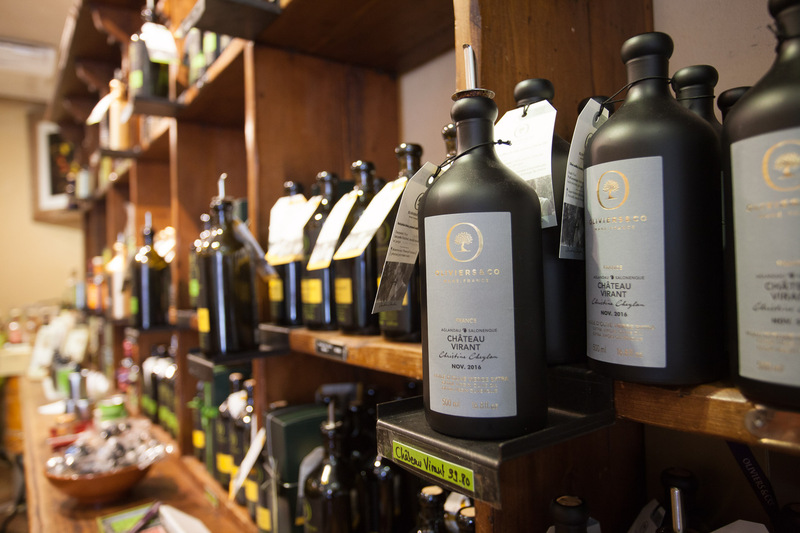 We recently had the pleasure to try some of their exquisite olive oils and other products and they quite literally reminded us of the sea, sun, scents and everything else that you’ll find along the pretty coasts around the Mediterranean! 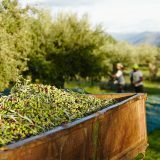 Oliviers & Co. champions the work and passion invested by a few small producers to make the best possible olive oils. 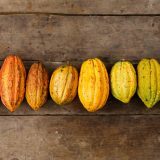 We loved the ethos of this company that has been able to open shops in dozens of countries while keeping their commitment to work exclusively with the best producers and to sell only high-quality products without any chemicals. 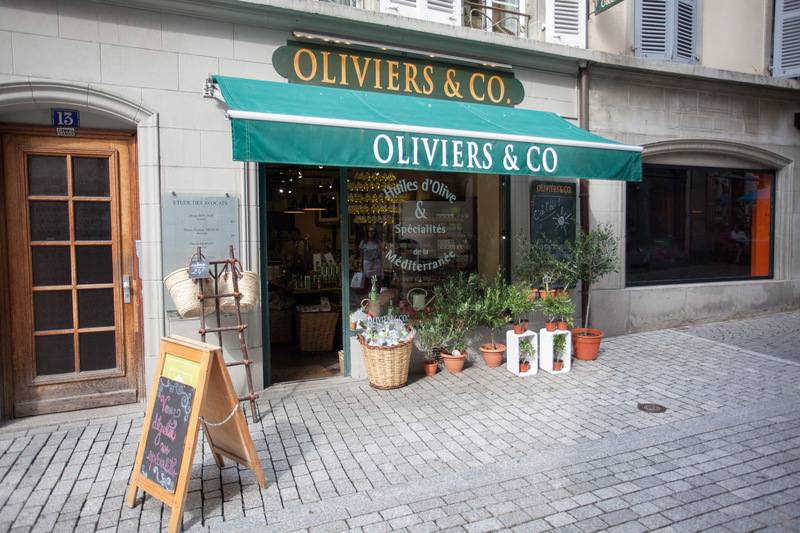 We had the chance to meet and discuss with Coralie Tchéraz, the project manager at Oliviers & Co. Switzerland who runs their two boutiques, one in Geneva and the other one not far from where we live in Lausanne (and the one in our photos). Read our Q&A with her below. As bonus, we’re sharing at the end of this post a fun & fresh recipe for you – ideal for your next grilling session outdoors – that combines eggplants with fresh mango salsa using their AOC Espelette pepper along with a high-quality, spicy olive oil. FC: Hello Coralie, could you introduce yourself and tell us the story of Oliviers & Co.? 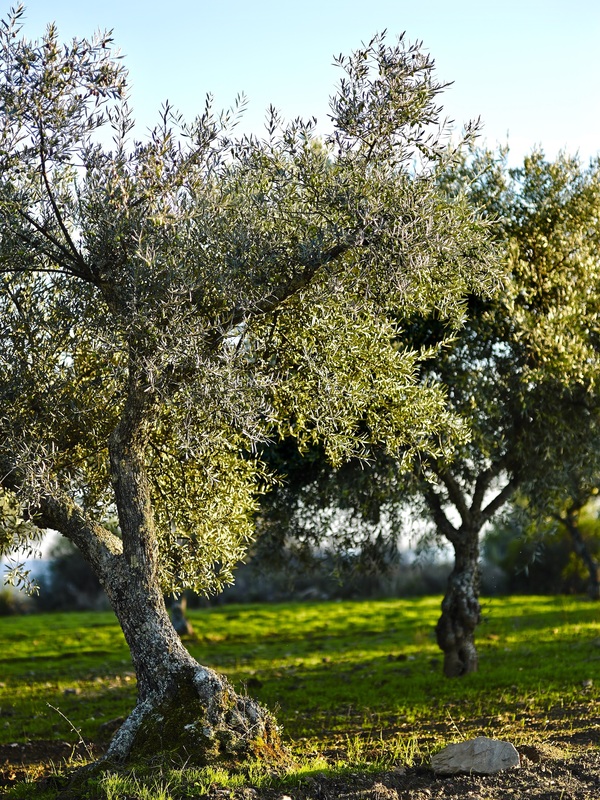 Oliviers & Co. was created more than 20 years ago in Haute Provence. Olivier Baussan, the creator of the brand (also the creator of L’Occitane), is at the heart of the “grand cru” concept for olive oil. Indeed, Olivier had the idea to promote olive oil just in the same way as wine, each oil coming from a different press, with different types of olives, terroir, etc. 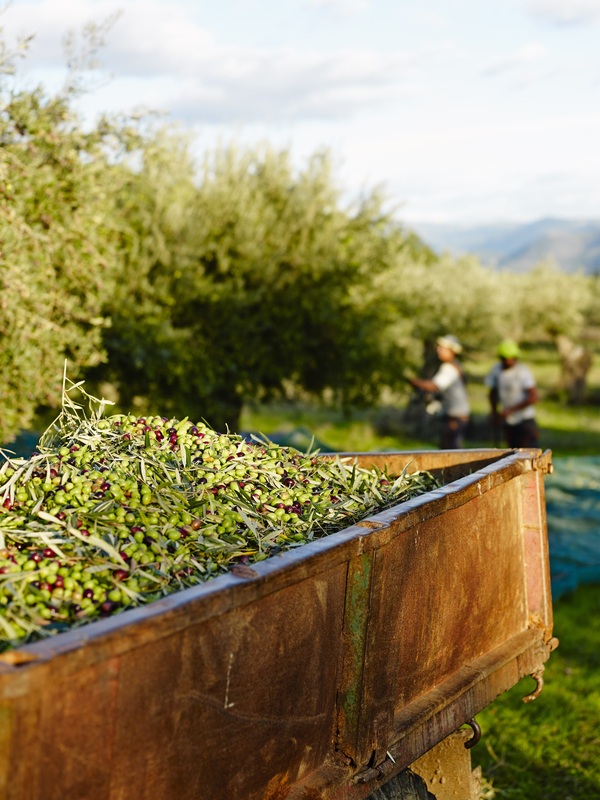 Thanks to a unique selection process, strong expertise and very strict specifications, each product of Oliviers & Co. is a guarantee of quality and traceability. On my side, after studying at the Ecole Hôtelière de Lausanne and gaining experience in luxury hotels, I decided to join the family business last summer. What attracted me? To be able to combine two elements that I am passionate about: customer service and love for gastronomy. I am delighted about it! 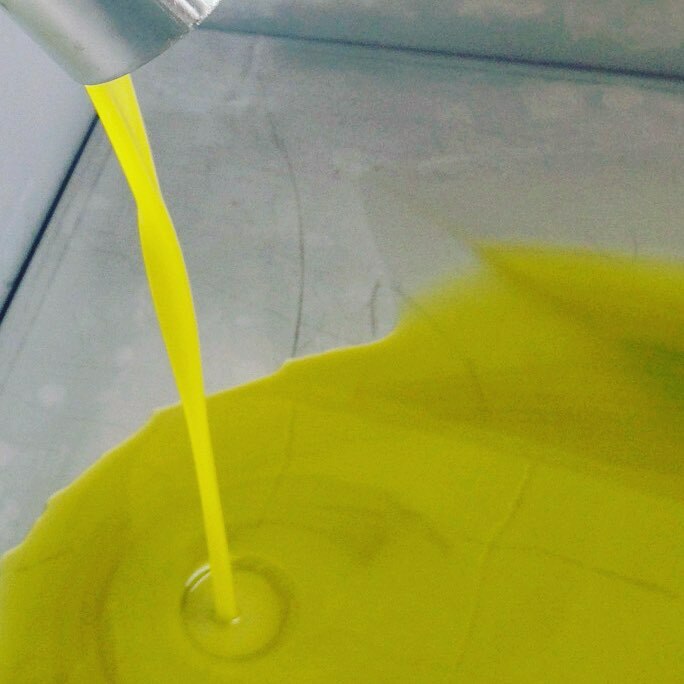 FC: Tell us a little bit more about the different types of olive oils you are selling, how you select the producers you work with and find new ones? What makes your approach different from other boutiques? At Oliviers & Co. we are lucky to have an extraordinary oleologist, Eric Verdier. 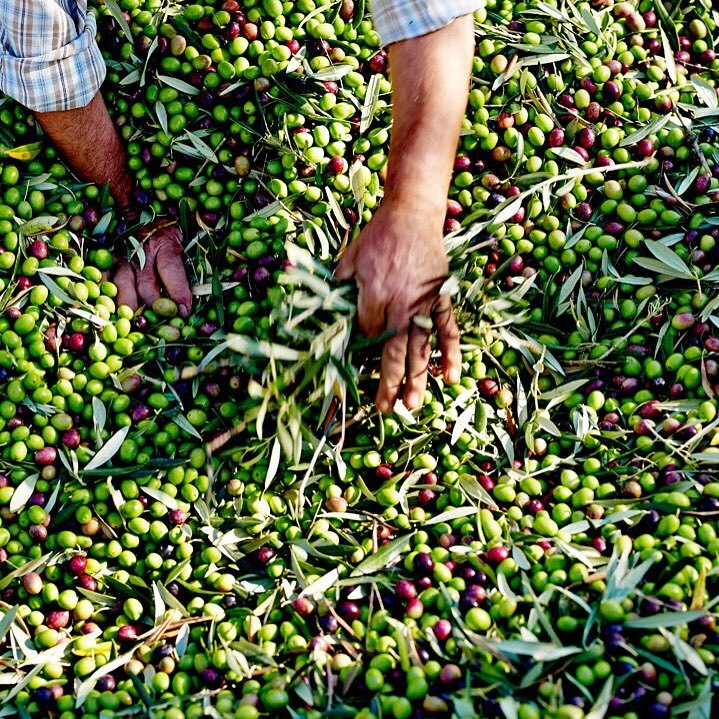 Once a year, he goes to meet the most assiduous producers of the Mediterranean basin and find real nuggets of green gold. After tasting the new crops, he selects about thirty olive oils, geographically and taste-wise different, vintages that our customers will not be able to find elsewhere. 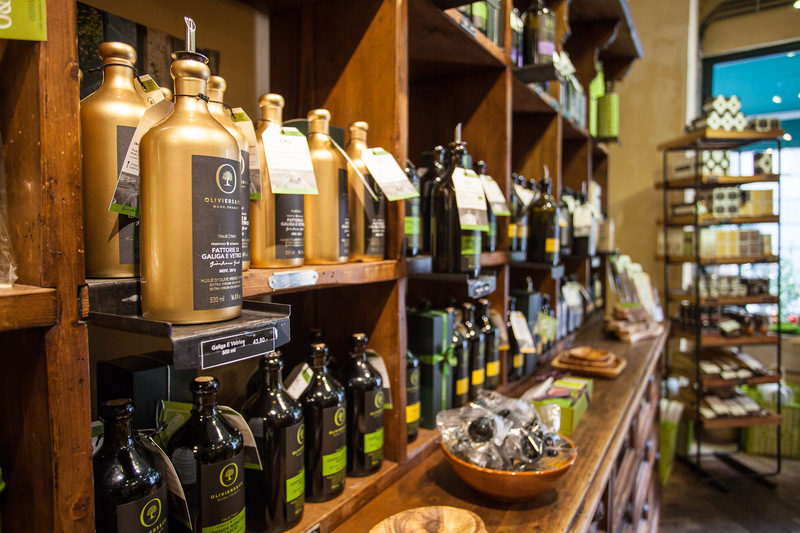 Every year we have a choice of floral, herbal, and sometimes spicy olive oils. These oils, with so different characteristics, are the result of three elements: the soil, the type of olive and the extraction process. 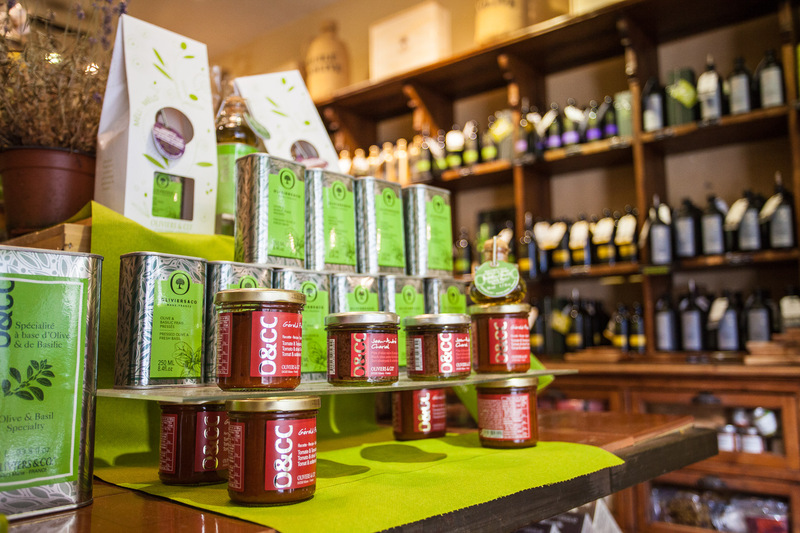 Oliviers & Co. differentiates itself from its competitors thanks to its values, namely very pure products, which are also full of history and represented through a network of some hundred shops across four continents. FC: What proved to be the most effective method(s) to establish your brand and grow your community in Switzerland? I would say quality. Indeed, today we are a reference in terms of olive oils because we have rare and precious “grands crus”, which are appreciated by the customers for their high quality. FC: Besides the hard work, while traveling and meeting the producers there must be a lot of funny stories as well – any anecdote that comes to your mind? During my visit to the Château Virant, on the way to Aix en Provence, I was surprised by the tasting method: the olive oil is tasted on the back of the hand. 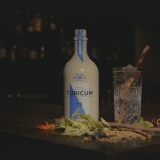 You have to pour a drop on the hand, which will warm up due to the heat of the body and then release all its perfumes, notes of dried herbs, almond… a marvel! Alternatively, you can pour a little olive oil in an egg cup and then place it in the fridge. Once solidified, spread it on a toast with beautiful tomatoes and Guérande salt: a delight! FC: What’s next for Oliviers & Co.? Any future projects you’d like to share with us? We are currently working on re-branding. As regards products, we have very original and totally natural new oils for summer, with candied shallots or fresh thyme. A treat to accompany your grill! Finally, in the fall we will open our online shop, we look very much forward to it! FC: Thank you, Coralie, for sharing Oliviers & Co.’s story with us! Preheat oven to gas mark 6-7/200º. Cut the eggplants in half lengthways, place them on a baking tray, gently incise the flesh with a knife making squares, drizzle with olive oil, sprinkle some fleur de sel and bake for 30-35 minutes. In the meantime prepare the mango salsa: cut the peeled flesh of the mango into small cubes. 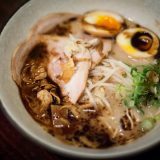 Pour into a bowl. Add the finely chopped onion to the bowl with the chopped coriander (or mint) and juice of the half lime. 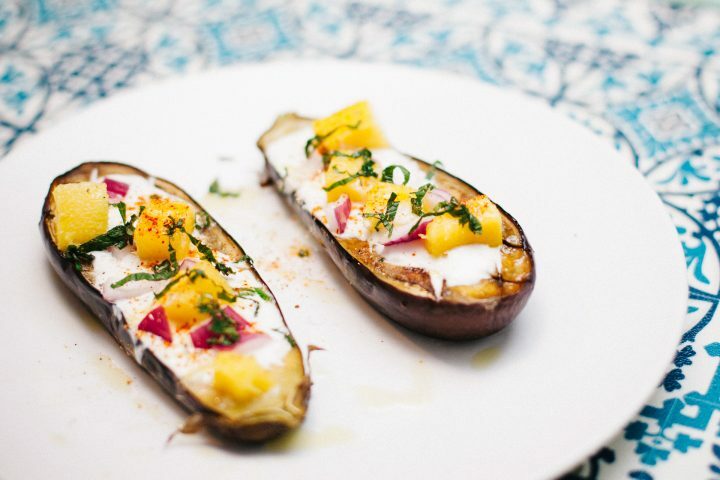 Once the eggplants are ready and cooled down, add a tablespoon of yogurt to each eggplant and spread the mango salsa on top. Sprinkle with Espellete pepper and serve! Pure deliciousness! !